Counting of training period for those who are trained and recruited after 01.01.1986 for TBOP and BCR was already in force 11/1991. The extension of this factor to those who were trained and appointed before 01.01.1986 is the order now stands to envisage. The counting of trg period for TBOP BCR is a distinct matter and need not be taken for MACP. This is what clarification at point 2 asserts. But the MACP which is in replacement of TBOP BCR is effective from 1.9.08 as per MACP order dtd 18.5.2009. 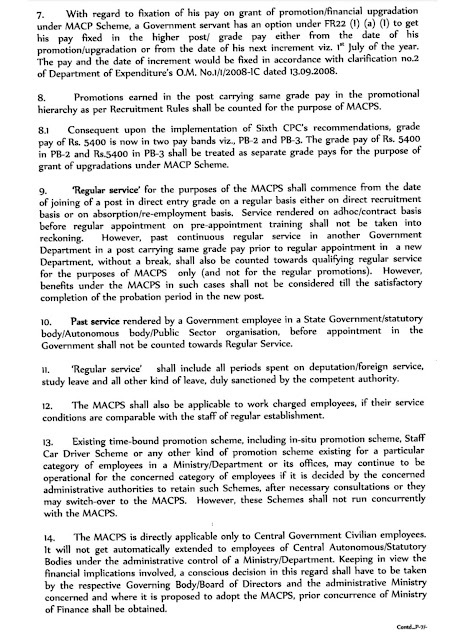 In para 9 of this order, there was an erroneous coining of sentence that made the pre appointment training ineligible for computing the qualifying service for MACP. This error was sought to be corrected by CHQ and the Amendment of removing the 'or' with the conjunction 'on' has been issued in the 23.6.2016. Both the amendment OM with page 6 having para 9 of the original OM is posted above. Our argument should therefore be focused on this rulings and nit with BCR TBOP related rules. 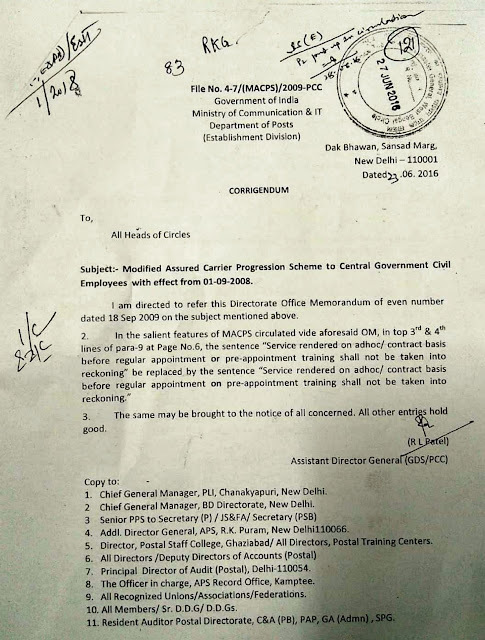 Except ad-hoc or contractual services before the regular appointment on pre appointment training all the period of training will be counted for MACP.